Day of the Dead or "Día de Muertos" in Spanish is a Mexican holiday celebrated throughout Mexico. 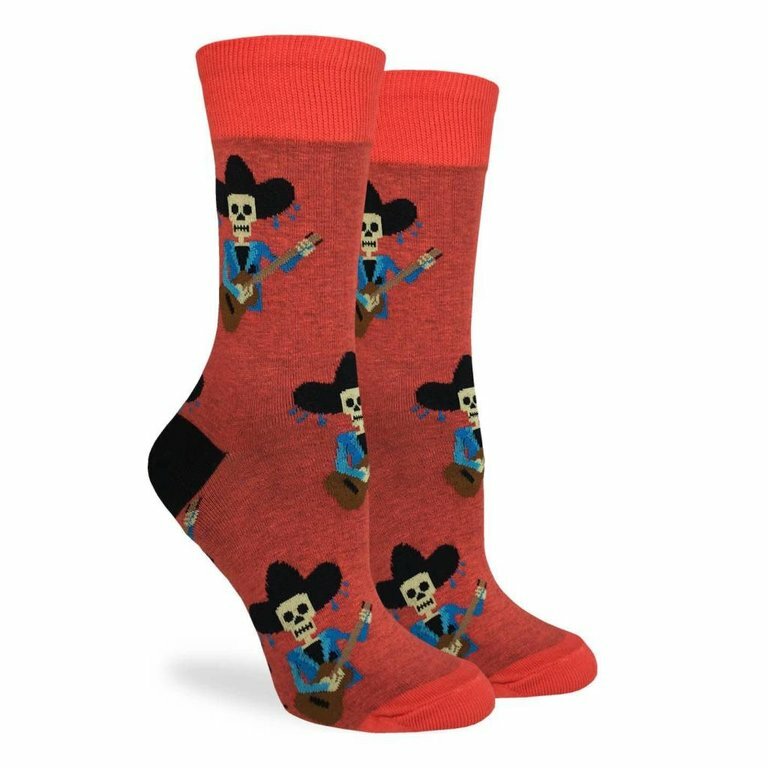 Celebrate Day of the Dead in style with these printed socks featuring a skeleton playing a guitar. Perfect to wear while celebrating Día de Muertos or Day of the Dead.